It's been quite some time since I wrote something on here. 3 years 10 months and 6 days from today to be exact. I'm not sure what pulled me away from the blog. Could have been any mixture of the lockout-shortened 2012-2013 season that I mentioned in my last post, to my move across the country to Southern California 3 months later, to the abysmal and painful back-to-back 51 loss seasons the Sabres trudged through in 2013-14 and 2014-15, which saw a combined 106 points and a record of 44-102-18. Yet here I am, looking to post again, dusting off the blog and reviving my creative juices. A few updates to links and RSS feeds which have died over the past 3 years and tweaks to content so we're relevant again, but I'm back. No promises on how much I'll write, but let's give this a whirl. I'll admit, it's been a challenge following my beloved team from the Pacific Timezone. No more simplistic access to WGR550 on the AM radio. No more attending games in person on a regular basis when one of my jobs had me in the best seats First Niagara Center had to offer. Section 218. (I'll never forget the time I got so excited after a goal that I jumped up on the camera man's stand shaking his camera and essentially ruining his shot. He immediately turned around and scolded me pretty hard). Nowadays, the only chances I have to attend games are during the yearly west-coast trip when the Sabres make their rounds to San Jose, Los Angeles and Anaheim, but it's never convenient and they've usually fallen mid-week. Nevertheless, I've been able to catch a game or two with my good friends when I'm home for the holidays, which has always been fun. Gosh I miss that arena, now KeyBank Center. Just the smell of the place inside. Cold, Blue Light on draft. Actually wearing a coat and braving the snow and wind. Walking to Cobblestone post-game for a Sam Winter Lager. Ah, it was all oh so good. 4:00 PM start times aren't convenient at all since I'm usually working until at least 5. Having the Bills at 10:00 AM on Sunday's is spectacular, but the Sabres at 4:00 PM on a Tuesday? That's another story. Let's say I somehow manage to be free for a game, or if we're talking a weekend game. Good luck finding a way to watch, Dave. It's either drop $139.96 for the NHL.tv Package, or fight the ads and find a reliable stream on Reddit. So far this seasons I've opted with the latter, which has been quite the trip. Few are reliable and almost none carry the Sabres feed with R.J. Although something has me tuning in to watch this year, no matter how many ads I have to click through or how invisible the puck is in the pixelated image. In all honesty, some major contributors to my excitement level for the 2016-17 season were the signing of Kyle Okposo, the sophomore year ahead for Jack Eichel (which we now have to wait on), Ryan O'Reilly's second year with us and the progress we made to close last season finishing 10-5-4 in March and April. All of that coupled with the hype around Connor McDavid, Auston Matthews and Patrik Laine has the future of the NHL looking quite talented and the 2016-17 season set for some fanfare. Speaking of fanfare, Montreal traded P.K. Subban to Nashville for Shea Weber and they're now 8-0-1, Auston Matthews scored four goals in his first NHL game and the Edmonton Oilers named 19-year-old Connor McDavid the youngest captain in NHL history before starting 7-1-0 to lead the Pacific Division. Wow. This season has already been a fun one. Cheers to Eichel getting healthy, Kane behaving and everything else this season still has in store for us. Last Thursday, the league canceled games through January 14, bringing the total number lost to the NHL lockout to 626 (50.8 percent of the season). Deputy Commish Bill Daly states the point of no return is in and around mid-January. I know you're thinking the 2004-05 season wasn't canceled until much later (announcement came February 16), but they won't give it that long this time. Expect a full season cancellation around mid-January if there is still no deal set in place. The only positive about the "point of no return date" is that nothing can produce negotiations more than a final deadline. But don't get your hopes up. 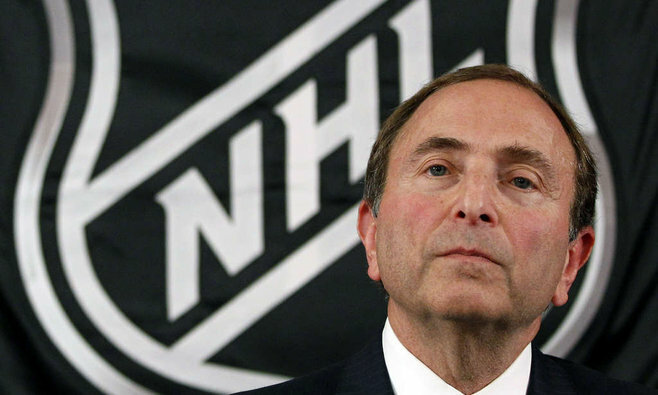 The NHL lockout has officially extended beyond Christmas. Terrible. The league has lost 626 regular season games and its two signature events, the NHL Winter Classic in Ann Arbor, Michigan, and the NHL All-Star weekend in Columbus, Ohio. 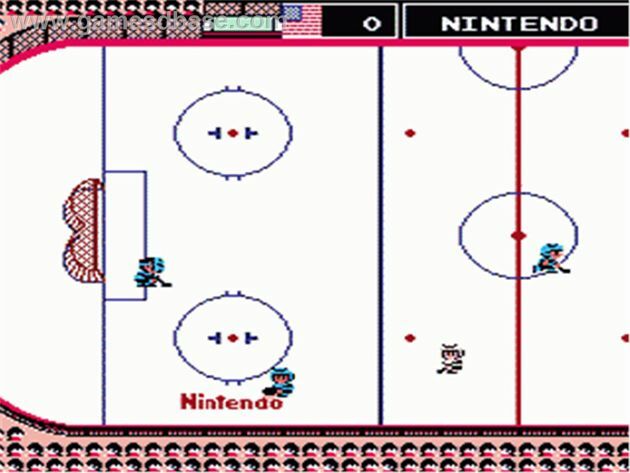 This brings the NHL's all-time total of games lost due to work stoppages to 2,324. Sickening. In comparison to the other three major professional sports leagues, Major League Baseball has lost 938 games, all the result of the 1994 player strike. The NBA has lost 788 games due to its various lockouts. The NFL has not missed any games outside of one exhibition game last year (the Hall of Fame game) due to work stoppages. There's a true Thanksgiving turkey and Christmas ham for you. What irks me most about the lockout is not the fact that we the fans are missing the enjoyment factor of watching NHL hockey in our cities. It's the ripple effect that impacts businesses around entire cities and surrounding suburbs that really frustrates me. Sabres president Ted Black can understand the frustration. 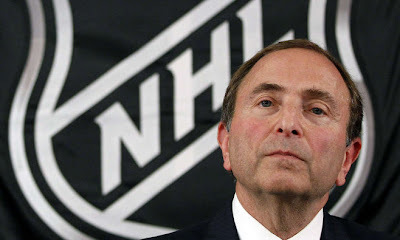 "We are disappointed the NHL and NHLPA have not been able to negotiate a new collective bargaining agreement," Black said. "Our fans are extremely disappointed, and we know the lack of NHL hockey is having a negative impact on many local businesses. At the same time, we want to play hockey under the right circumstances that the NHL will negotiate on our behalf. ... The league has our full confidence." I myself can relate directly as a part-time arena worker. While I don't depend on the money I make at Sabres home games as a matter of life and death, I'm still losing out on a couple hundred dollars a week because of this lockout. It's a job I choose to work to be in the exciting enviroment of live NHL hockey that I love while making some extra cash in the process. Think of it as my way of being paid to have season tickets, as opposed to the other way around. These millionaire and billionaire owners can argue all they want on how to split $3.2B knowing it's hurting them every day, but it's the part-time and full-time arena employees along with local business owners that are really taking the hit. 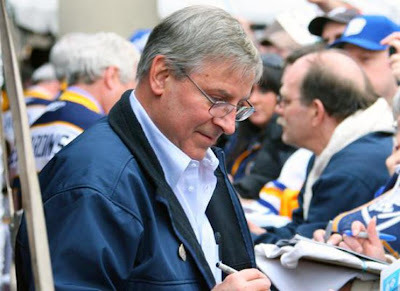 The Pittsburgh Post-Gazette reports, Joe Kasel, owner of the Eagle Street Grille in St. Paul, Minn., a month ago wrote a letter expressing his concerns to NHL commissioner Gary Bettman. "I had to look 32 of 48 employees in the eyes and inform them that I no longer can afford to keep them on staff," Kasel wrote. "The impact on our lives is immeasurable. One city's devastation may not seem like a powerful incentive to end the lockout; but I know this is happening in other cities around the nation." PPG also reports, Chris Ray, manager of the Brewhouse Downtown in Nashville, Tennessee, said his establishment is losing an estimated $5,000 for every canceled Predators home game. That's already a $90,000 hit, given 18 Predators home games have been wiped out. It can only be the same way for restaurants like Pearl Street here in Buffalo that see hundreds if not thousands of fans come in their doors before and after Sabres home games. Every other sports bar in the area feels the pain as well. You can't forget about all the fans who regular their local bar for road games that simply just aren't carrying out their normal routine as the lockout drags on. Those local bars, no matter how far from downtown Buffalo, are bleeding too. And you'd think the Bills would give us something to cheer about. after scoring the game winning overtime goal. So the streak continues: The Buffalo Sabres have not lost the home portion of a home-and-home series with the Toronto Maple Leafs since a 4-2 loss on Dec. 20, 1970. The two teams split the season series 3-3 with five of the six games decided by one goal. This particular win was especially crucial to the Sabres and their #PlayoffRun. Just when fans count the Sabres out (trailed 3-0, 4-2, and 5-3) they come storming back with two goals in the last five minutes to send the game into extra time. The Sabres were without a doubt "saving the drama for the finish." Derek Roy scored the game-winner on the power play with Dion Phaneuf in the box for a puck over the glass delay-of-game penalty. "This means a lot. It means we didn't roll over and die," Roy said. "Our will was better than theirs I thought." Toronto head coach Randy Carlyle said, "Gut-wrenching. Everything went our way early, and then everything went against us late in the hockey game." What sent the game into overtime was Jordan Leopold's self-described "pitchfork goal" that came during a wild scramble in front on the net to force overtime with 1:53 left (pictured below). Make sure you watch the video of it over and over. Its "many layers of crazy will keep you coming back for more." There is so much to look at from Marcus Foligno getting slammed to the ground instantly, to Ben Scrivens holding Leopold's stick, to the official's late reaction on the goal call. Watch the video a few times and focus on something new each time. This could go down as one of the more memorable Sabres goals ever if they do indeed complete the playoff run. Jordan Leopold's "pitch-fork" goal with 1:53 remaining in regulation. "Today was one of those days where we could've found ourselves losing that game 5-0," said Leopold. "It didn't work out that way, because we decided to dig in and push it all the way." The Sabres rallied to win after trailing by three goals for the first time since a 4-3 overtime win over Atlanta on Jan. 1, 2010. "It's one win, but it gives us some momentum. It was one of those games where I think everybody in the stands and media was waiting for that one to turn out worse than it ended up being. For us, we pulled together and found a way to win." Buffalo Sabres defeat Toronto Maple Leafs in OT (+8.4%). Overall Sabres playoff odds are currently at 28.2%. April is Buffalo’s best regular season month since the lockout, with a combined record of 23-10-2 (.697) in 35 games. The Sabres went 4-0-1 in April to finish the 2010-11 season and are now 1-0-0 this season. More after the jump. Dion Phaneuf battles for the puck with Thomas Vanek. The Buffalo Sabres know they have their work cut out for them after a tough weekend where they came up empty-handed in the points column. "We've put ourselves in a tough spot," said captain Jason Pominville. "Instead of making it easy on ourselves, we're going to need some help and we're going to have to win our games. It might be the case where we have to win all three." The Sabres will have to subsist in their regular season home finale tonight without their top two defensemen, as the pair will be out of the line-up nursing injuries. Christian Ehrhoff will miss the remainder of the regular season with a knee injury suffered in Washington earlier in the week. With Ehrhoff in the line-up, the Sabres are 36-22-8 (.606). Without him, they are 2-9-2 (.231). Tyler Myers did not practice Monday, and has missed one game since taking a shot off his foot in a loss to Pittsburgh on Friday. He will miss tonight's game and maybe more. With Myers in the line-up, Buffalo is 31-21-4 (.589). Without him, they are 7-10-6 (.435). Lindy Ruff said the Sabres need to minimize the mistakes that led to their demise in Toronto on Saturday night, particularly since they are playing down a few valuable men. "We've made it real tough on ourselves," Ruff said. "Obviously we know where we're at with a depleted defense. We've put ourselves in a real tough spot. We have to play a cleaner game than that. To try and chase the game with two of our more mobile defensemen out of the lineup that are on the offensive side of it, it's tough to chase. You're going to make some mistakes and give up some high-quality opportunities." at last year's Fan Appreciation Night. Tonight at the First Niagara Center, the NHL's two hottest teams as of late in the Buffalo Sabres and Pittsburgh Penguins will meet for 7:30pm ET puck-drop. This is the second to last home game of the regular season for the Sabres and has been dubbed Fan Appreciation Night. I'll never forget Fan Appreciation Night last season... Who remembers the no-look spin-o-rama goal by Nathan Gerbe? The Sabres clinched the playoffs that special night and overall, it really couldn't have been better. The Party In The Plaza will begin at 5pm today with live music from local band Strictly Hip. Danny Gare, Tom Draper, Scott Pearson, Derek Plante, Andrew Peters will be inside the Tailgate Tent. The weather is looking like 37 degrees with a 30% chance of precipitation; so dress warm. As always, the plaza party will be open to all fans regardless of whether you have a game ticket or not. If you aren't going inside for the game, you can remain in the plaza and view the MSG game feed from two large video screens. Food and beverages will be available for purchase before the game starting at 5 and will continue to be sold throughout. More after the jump. Playoff Push: Vital Victory in D.C.
5-1 victory over the Washington Capitals. Not only did the Buffalo Sabres snag two points in the Nation's capital last night, they also kept the Washington Capitals from earning two, hopping the Capitals in the standings and greatly increasing their playoff odds in the process. 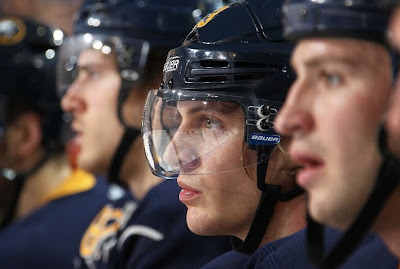 This post is reminiscent of one I published a year ago yesterday, "Two Wins, Playoff Odds Up High", which stated almost the same thoughts regarding the Sabres' playoff push. Ironic? Ryan Miller looked impressive between the pipes making 44 saves on 45 shots and Drew Stafford found the back of the net twice as the Sabres won the game 5-1 on the road. It was their first win in Washington since April 3, 2009. They clinched a 3-1-0 season-series record against the Capitals making the statement that they are the stronger team. Buffalo Sabres defeat Washington Capitals in regulation (+27.0%). Ryan Miller is 14-1-3 over his past 18 games, and has allowed only 32 goals over this stretch. In his past ten games, Miller is 8-0-2. But he attributes much of his success to the players in front of him. "It was pretty important to have everybody going," said Miller. "Every line contributed and everybody played hard. It was a great team effort, and the perfect time to do it." More after the jump. Washington Capitals at Verizon Center on Dec. 30, 2011 in Washington, DC. The Buffalo Sabres are 543-400-185 (.563) all-time in games after the All-Star break. This season, they are 17-5-5 (.722) since the 2012 NHL All-Star Game. The Sabres are all too familiar with what we call a late-season playoff push, or #playoffrun. In fact, those numbers show they are actually rather good at it. It's entertaining, and fun when they win, but it wrecks the nerves of us die-hard fans along the way. Tonight presents us with one of those nerve-wrecking games that die-hard fans live for; edge-of-your-seat, heart-racing, eyes wide open hockey. "I think to call it a big game is an understatement," said Sabres defenseman Robyn Regehr. "There's just so much on the line." This sounds like the playoffs, smells like the playoffs and feels like the playoffs. Must be the playoffs then, right? Well it is. Somewhat. I'd like to view tonight not necessarily as a playoff game, but as a "play-in" game instead. As previously mentioned, we are in the midst of the playoffs before the playoffs. While tonight won't make or break either team's fate, the winner will have an important edge as we are within 12 days of the season's end. "It's going to be like a playoff game," Capitals LW Jason Chimera said. "Both teams need it and it's going to be a fun game to play in." Take a glance at the potential odds impact by game outcome after the jump. teammates Marcus Foligno (L) and Travis Turnbull. On January 24th, the Buffalo Sabres were five games below .500 and last place in the Eastern Conference, with playoff odds at practically zero. Take a look at what the standings looked like on that date. Another win in the books last night and suddenly the Sabres are eight games above .500 and currently holding a playoff position. Since January 24th, the Sabres have gone 18-5-5, bringing playoff odds from their lowest point to 46.6%. After a slow start where they were outshot 8-1 and found themselves behind a goal, the Sabres turned it on outshooting the Wild 36-17 the rest of the way in winning their fourth in a row and improving to 6-0-2 in their last eight. "I wasn't surprised that they had better legs early on, but I thought we dug in," said Lindy Ruff. "We came out at the start of the second and started to make a difference." Thomas Vanek scored early in the second period, Marcus Foligno early in the third and Cody Hodgson in the last second of regulation to secure the victory. Ryan Miller made 24 saves to improve to 13-1-3 in his past 17, a stretch in which he's allowed just 31 goals. "I think it shows the character we have in the room," said captain Jason Pominville. "The guys stuck together. And as fun as it's been, I think there's still a lot of work to be done." Buffalo Sabres defeat Minnesota Wild in regulation (+7.9%). Show the "Read more" button some love to continue on. Are the Sabres a playoff team in 2016-17? A California transplant and Buffalo native. An avid Sabres fan, skier and all-around thrill seeker looking for the positive things in life. An alumnus of Canisius College with a degree in Business Marketing. I have two siblings; both older. I primarily work for a small travel agency you may have hard of before called Expedia, but I talk Sabres when I feel the urge. Copyright © 2012 David R. Simmington. Theme images by francisblack. Powered by Blogger.